Gymnastics Mailbox for Teaching Dive Rolls and Handsprings. 4 Sizes. 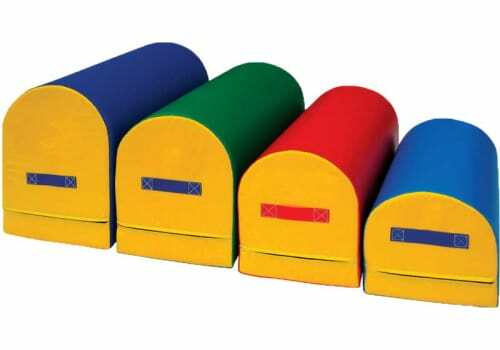 Select Size 16" x 30" x 16" 20" x 33" x 16" 24" x 33" x 18" 27" x 33" x 20"
Our mailboxes are an economical aid for teaching dive rolls, handsprings, etc. Large, medium, standard or mini models provide the proper height for gymnasts of all sizes. These mailboxes are filled with prime polyfoam, covered with durable 18 oz. vinyl-coated polyester, and stitched with strong dacron thread. 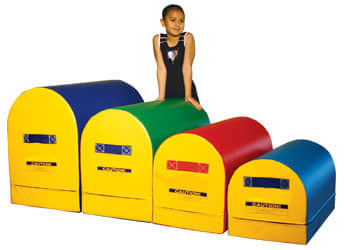 Our gymnastics mailboxes are an economical aid for teaching dive rolls, handsprings, etc. Large, medium, standard or mini models provide the proper height for gymnasts of all sizes. 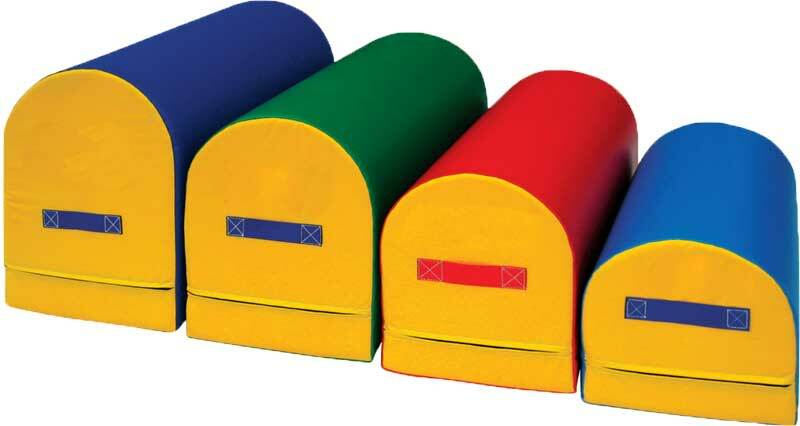 These mailboxes are filled with prime polyfoam, covered with durable 18 oz. vinyl-coated polyester, and stitched with strong dacron thread. Prices shown include ground shipping within the contiguous USA.